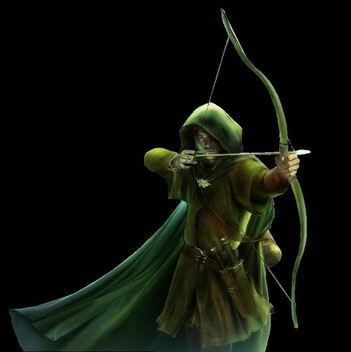 "An ordinary archer practices until he gets it right, a Ranger practices until he never does it wrong." When a Ranger fight he/she always tries to fight from a distance, if the opponent manages to come closer, they fight with their knifes. They do not have swords, only Gillan has a sword because he already knew how to use it before becoming a Ranger. Rangers also need to be very skilled archers. They are never finished with practicing. One of their rules/ quotes is: "An ordinary archer practices until he gets it right, a Ranger practices until he never does it wrong." The bow is the most important weapon of the Rangers. The first year Ranger apprentices use a recurve bow, when they are strong enough they get a longbow, thats a very hard bow to string and it takes a very long time to learn how to use it. However it is a very accurate weapon and ha a range of 300 meters. Only a very skilles archer can reach 300 meters because you wil need exactly the rught angle. The Rangers make their own bows and arrows. This is a knife which you can use to throw or stab. It is just like the Saxe knife in very good balance. This knife is also very handy if you fight against someone with a sword, because if you cross it with the Saxe knife it can block a sword. When you throw it you take it by the blade and throw it so it turns in the air. The saxe knife is a kind of dagger. teh Rangers can use it to defend themselves from a sword or to attack. They can also throw and, but most of the time they use their throwing knife for that. When they attack with it they use it as a dagger. 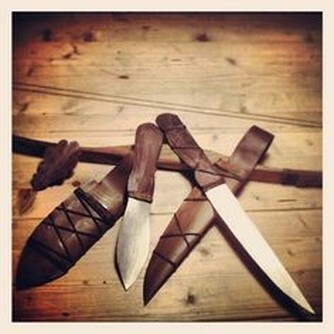 The Rangers saxe knifes are the best knifes of Araluen. They are very well balances and made by the best blacksmith of Araluen. If they defend with it they cross it with their throwing knife. Ranger horses are not very big, but they can run quicker than nearly any other horse. Those horses are very smart and cunning. They learned all kind of tricks. If someone tries to creep up on their master they let their master know by snorting. The Ranger horses all save the lives of their masters very often. When you want to ride a Ranger horse you need to know the code word and whisper it in the horses ears. 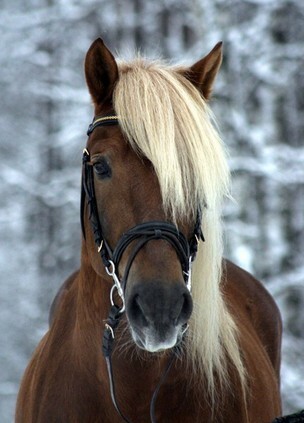 If you don`t the horse won`t let you ride on it. Wills horse is called Tugg, Halts horse is called Albelard and Gillans horse is called Bless. The Cloak from a Ranger is a cloak with which you can "disappear". This is a legend, becuse they do not make you disapear, they let you merge with nature. When a Ranger hides himself in a cloak, you can only see him if you`re very attentive and very close. 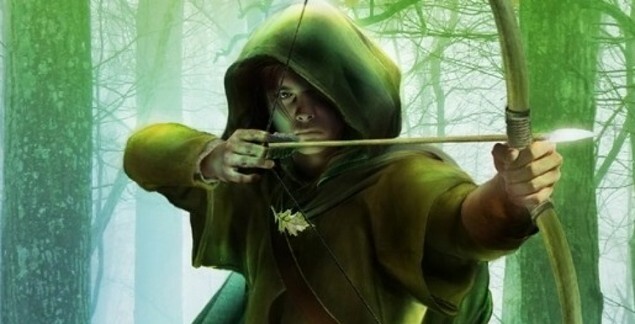 The cloak from a Ranger is maybe even more important than all of his weapons, becuase a ranger is the ears and eyes of the couhntry and the cloak is very important if you want to eavesdrop. The original Ranger cloak is grey-green with weird spots on it. When Will is in Arriddi he gets a sand couloured cloak and in maccindaw a kind of white cloak.